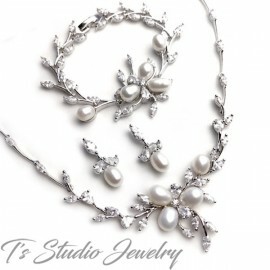 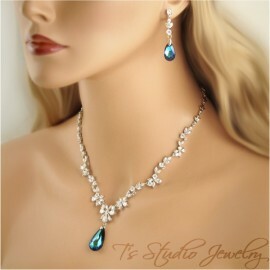 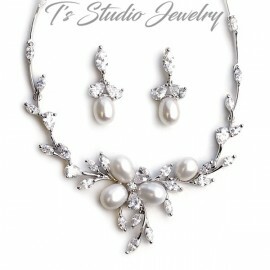 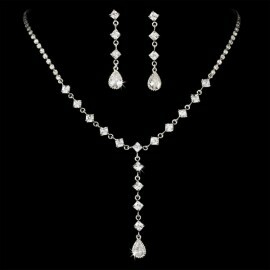 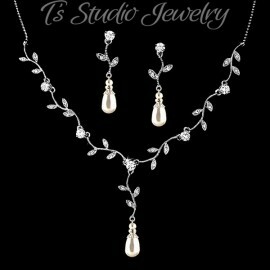 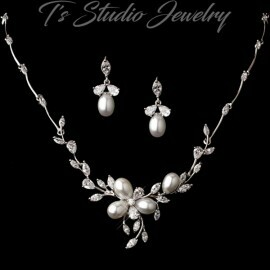 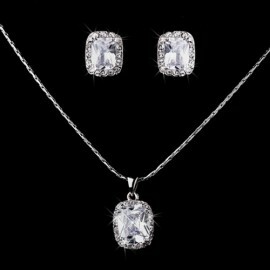 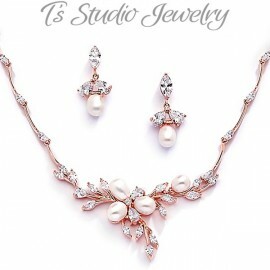 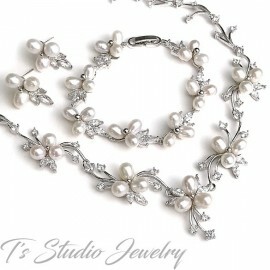 This magnificent silver rhodium bridal necklace and earrings set has a shimmering pave ribbon design featuring inlaid cubic zirconia stones. 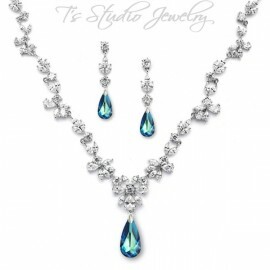 This necklace measures 16" with a 2" drop at the center. 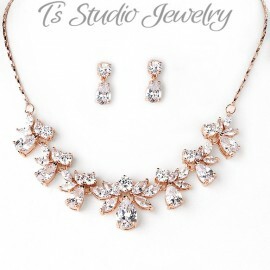 The earrings measure 1 3/8"